When Robert was a toddler we took him to Ireland and he was entranced by the sea. He stood at the side of the water just watching and then started to pick up some pebbles and throw them in. He has loved the sea and the beach, wherever they may be, ever since. So, when we decided to go to Tenerife over Christmas, we knew that the sea would be a popular destination. However, we didn’t know how impressive it would be and how we would all be happy just to sit and watch the remarkable waves, crashing onto the shore. We stayed in an apartment near the San Miguel golf course, about five to ten minutes from the shore. This was not a beachside location – the terrain near the water was coarse and pebbly. It was also wonderful and a magnificent place for walking. We love walking with the kids, especially when there’s no rush and no particular destination! Instead we just traipse along for the fun of it, enjoying the views and the chat. Obviously this has become easier since the children got older, but it really is a great part of family time, and something we don’t often get to do together at home in busy London. So, on the first day, we walked along to the marina and watched the waves crashing as we did so. We had competitions to see who could throw their stones the furthest and enjoyed the sun on our faces. Another day we walked in the other direction, which was even more impressive. I hadn’t expected Tenerife to be so beautiful and we were overwhelmed by the extremely clear water, the endless views and the huge numbers of differently shaped rocks. Of course we also we couldn’t holiday in Tenerife without visiting some “proper” beaches and we loved these too. We’d also recommend both the ones we tried out. We spent one gorgeous hot day in Los Cristianos, about 15 minutes from our apartment. It was a beautiful sea front, with loads of sun loungers and sand. It was also extremely busy, packed with tourists (as you’d expect), but it was all nice and clean and had a fun atmosphere. That was fine for us. Robert built some sandcastles, we all paddled and Jess and I enjoyed lying in the sun (not something we’d be doing back home in December!). Robert also enjoyed trying out some bungee jumping and the assistants there were incredibly friendly, showing him how to do turns and tricks. The second beach was one we visited by chance, as Jess told you in her blog post on when things go wrong on holiday. The Playa del Bobo, on the Costa Adeje was utterly gorgeous. We loved paddling in the waves and the beach was enormous. It was less busy than Los Cristianos, but also surrounded by some lovely shops, restaurants and ice-cream bars. It also featured the most marvellous views and was a real treat. So, Tenerife went beyond our expectations, despite missing Mount Teide! We thought it was a great place for a family holiday, easy to eat out, with lots to do for all ages and breathtaking natural beauty. It was also so lovely and hot! We’d love to go back. We’ve joined up with the lovely Country Kids this week – pop over there to see more outdoor fun. My parents used to talk about the black sand of Tenerife when they visited regularly after they retired. I’ve never been, and I think some parts of the island would be too hedonistic for me, but I would like to see the more sedate and natural parts. Need to get the timing right for the weather though. We spent Easter once in Fuerteventura and it was cold! It was surprisingly beautiful. I think we missed the hedonistic parts! Oh I am very jealous it was lovely and hot. Our experience last year when we stayed in Costa Adeje was chilly and rainy! Typical for us as we seem to have bad weather all the time! Tenerife is great for families. We love wandering and strolling too. And like Robert, I am entranced by the sea. I could watch it for hours! Glad you had a lovely time and good weather! I think we were really lucky with the weather. We had never been before and were so impressed by how hot and sunny it was, but we have since been told by friends that we were fortunate as their experiences were more like yours! Thanks for posting all those lovely photos! We’ve never been to Tenerife, though I hope sooner or later we’ll visit, so it’s nice to see what it looks like. Proper beaches are fun, but rocky coasts have an amazing atmosphere as well. Both are worth a stop in my experience. Yes, I totally agree, though I think I like the rocky coasts more – you can just stop and marvel at nature. Thanks very much for commenting. It looks like you had a great time! It’s always nice to escape the winter and head somewhere warm with a beach! I’ve heard how popular and touristy Tenerife is. It’s great to see the open beaches and cliffs, the reasons it’s been so popular, I sense. Yes we had heard that too and it had actually put us off in the past, but we were pleasantly surprised. I guess we stayed out of the areas we probably wouldn’t have liked! Great pics. I need to be on a beach in a hammock or something now. Looks like you had a lot of fun. This looks like such a relaxing place and so beautiful. Fantastic photos. When I’ve been before, I’ve only been to the more popular parts. I love the sea too and could spend hours just watching the waves, your photos are stunning and it looks like a great place to visit. Beautiful photos, we love Tenerife and I asked the kids where we should go in the summer and they all want to go back to Tenerife! He loves rides and stuff like that – unlike me! Tenerife in December must have been really great weather wise. I went there years ago ago and have fond memories of our holidays. Your trip to Tenerife sounds great. Pre-children we used to go the Canaries for some winter sun every year. We’ve never been there as a family but I’d like to. We have been to Lanzarote many times with the kids, but not Tenerife. We would go back to both for some winter sun! I totally agree – something magical about it all. Wish we could get there more regularly! I haven’t been to Corfu – but if it’s beautifully green, that sounds lovely. Sounds wonderful. There is nothing better than sitting on a beach watching the waves crashing on the shore especially if there’s black sand! 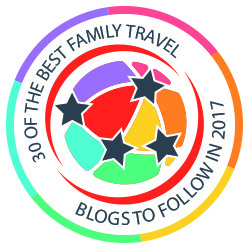 We cruised in the canaries and had a wonderful time, but would love to go back with the kids. The dream would be to sail there. That does sound like a great idea. Let me know when you do it! We haven’t for a while either, but glad to this week, and to remember that lovely sun! We also had a great day outside (and in!) today which we hope to write about soon. Thanks for stopping by – look forward to seeing your pics! I’ve never been to Tenerife but we’re planning a trip to that part of the world. I confess: I love the idea of black sand beaches — they seem so exotic and striking. Love the images. I really want to visit Tenerife and this convinces me even more – good beaches are so important and Tenerife’s look and sound so intriguing! Great photos. I have heard so many good things about Tenerife. Reading this has just reminded me to seriously consider a holiday there. Oh how lovely to have some warm sun. Love the photo’s, very jealous! There’s something so magical about natural beauty. It just grabs you and takes you in. The rock beach was just lovely. I could have looked into the distance for hours. Tenerife is indeed a great island. Small but it has everything, beach diving, camping, hiking, from sea to mountain. If you are travel in Tenerife, I advice that you enjoy everything from the beaches up to the mountains. Just get a car for hire so that you can easily tour the place. Having a kids in a trip is really not that easy. You will always prioritize and see to it the feelings of your kids if they are enjoying the place that you are going to visit. Good thing Tenerife have it all. Warm weather, good beaches, beautiful places, nice foods to eat and friendly people over there. And upon reading your blog, I remember how we spent our vacation last year. My kids and I really enjoy. Highly recommended place to everyone.